The Green Party store has three locations in Singapore, including one within Market Square at Downtown East (1 Pasir Ris Cl). All of the products you can find at The Green Party are not only trendy, but also environmentally-friendly, designed for a green dream home. This is because The Green Party advocates green natural life by selling quality houseware, fun kitchen supplies, balcony garden accessories, bathroom aromatherapy supplies, fun office stationery, jewelry, hair ornaments, and other wear products. 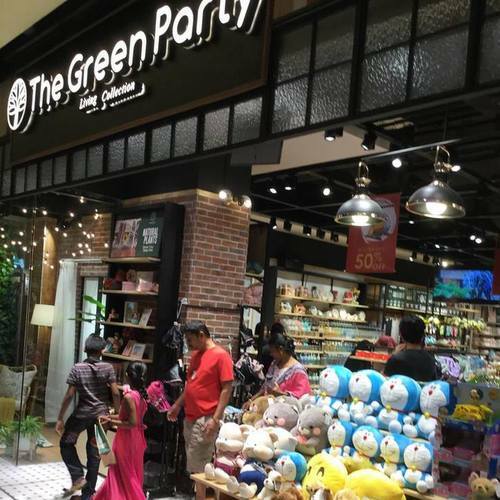 The Green Party’s shop at Bedok Mall is located on the Basement 1 level of the shopping centre complex. Other similar shops within the same mall include Homestyle (#B1-15) Eurotex (#B1-61), and Home’s Harmony (#01-47 to 48).